Glass Engraved and Personalised Photo Frame. A beautiful heavy glass 6" x 4" photo frame with metal edging and a stand on the back. Engraving can be portrait or landscape please make your selection from the drop down box. You can either have engraving at the top or the bottom of the frame. Engrave with a special message, names or date or all 3! As standard we will engrave the bottom of the photo frame, if you would prefer your personalisation elsewhere please advise when you place your order. 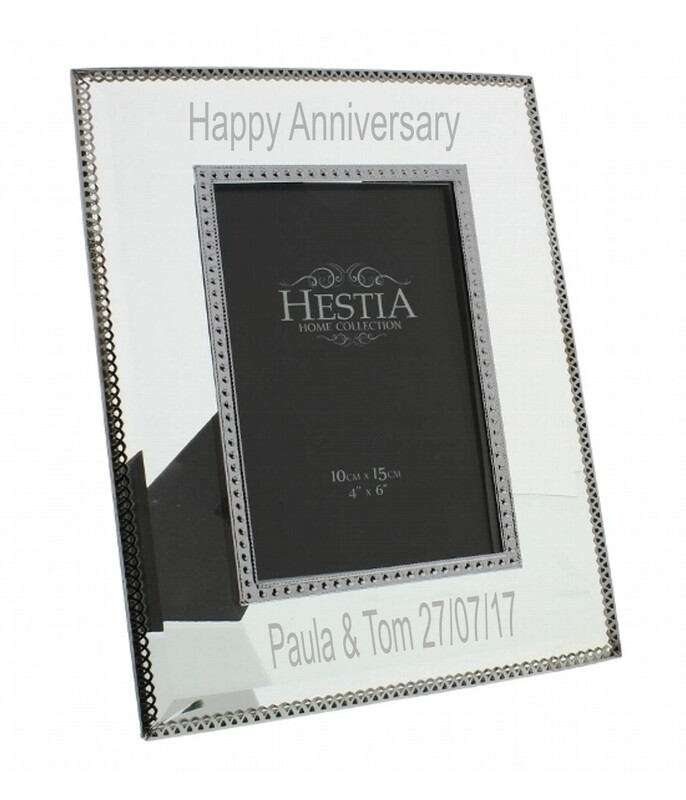 A great present to put your Wedding photos in or for a Christening, Anniversary or Birthday gift. A great unique present for all occasions.